Race tracks attract car enthusiasts. Most of us can’t help but be drawn by the allure of pavement without a speed limit. Maybe it’s the culture. Perhaps it’s for the sights and sounds. It may even be the copious consumption of fuel and tires. Race tracks are the enthusiast’s way of sticking it to “the man” for making performance vehicles an endangered species. They’ve become wildlife reserves dedicated to the conservation of our passion – fast cars. Tracks draw professional drivers, track day hounds, and the viewing public alike, uniting us all under the banner of racing. 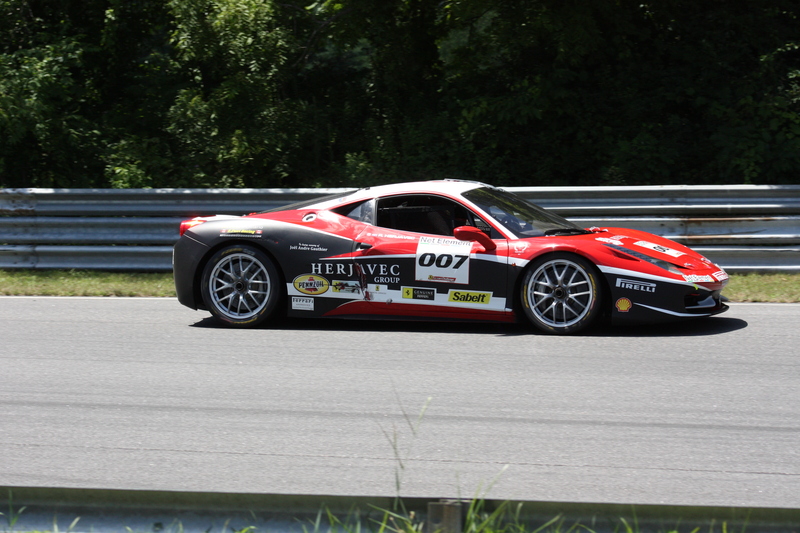 We returned to Lime Rock Park last Saturday to watch the Ferrari Challenge Series. Starting in 1993 with the 348 Challenge, Ferrari has run a single-model racing series with modified road cars. Challenge variants were produced for the 348, F355, 360, and F430 models. In 2010, Ferrari released the newest version, the 458 Challenge. They began with a vehicle that, in standard trim, is already a high-performance exotic – the 458 Italia. The Challenge version maintains the same 562hp V8. However, all the pleasures of the road-going model are stripped out. In their place are Lexan glass and carbon fiber panels. To increase safety, a roll cage, racing harness, and fire system are installed. The car also gets firmer suspension, a remapped traction control system, and massive Brembo brakes, sourced from the insane 599XX. The resulting car is lighter, lower, and faster than its road-legal brother. 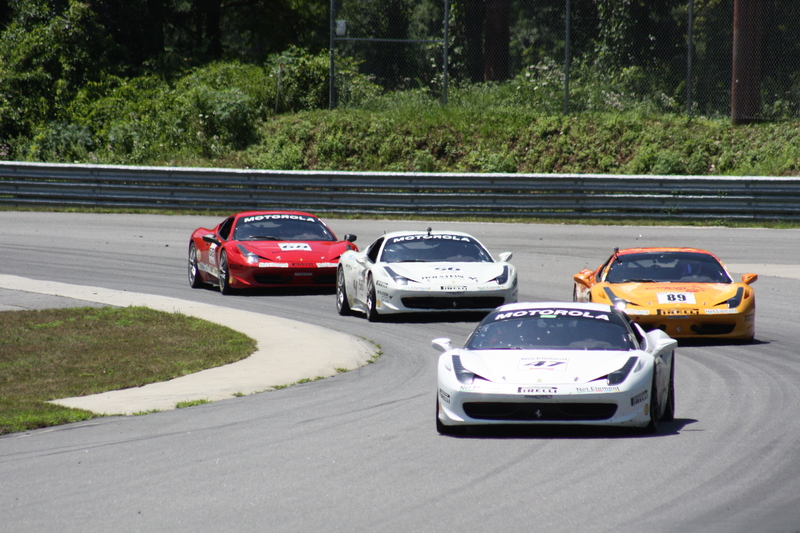 So who gets to race in the Ferrari Challenge Series? Well, the 458 Challenge costs $ 286,500. The car alone, however, isn’t enough to gain access to the series. An additional $55,500 is required for a full-season registration. This cost covers the entry fees, select spare parts, fuel, and tires. It also explains why most cars are dealer-sponsored. With that said, the answer to the initial question is, “both professional and ‘gentlemen’ drivers.” In our Italian-English dictionaries, that roughly translates to “extraordinarily wealthy.” New for the 2012 season are two different classes, the Trofeo Pirelli class for drivers with racing experience, and the Coppa Shell series for those without.